Chekov was an astoundingly prolific author, “publishing as many as one hundred and sixty-six stories between 1886 and 1887 while practicing medicine.” He’d been writing for magazines, newspapers, and periodicals since 1879 when he entered medical school, hoping to supplement his family’s meager income. If Chekhov became more considered in his writing, his production never flagged. Senelick’s glorious contribution to scholarship on Chekhov includes some works never before translated, but also gives us a thorough understanding of the evolution of Chekhov as a dramatist. But pieces of that first play has provided material for playwrights and directors including “A Country Scandal,” “A Provincial Don Juan,” “Ce Fou Platonov,” “Fireworks on the James,” “Wild Honey” (Michael Frayn version), “ Player Piano” (Trevor Griffith’s version), and “Platonov” (David Hare’s version), among others. It makes one laugh, the riches to be mined in a failed play by a man, boy really, who had never before written a play meant to be performed on a stage. Senelick includes in this collection “all the plays performed during [Chekhov’s] lifetime and posthumous works, performed or not.” He includes variants to the plays, some edited for the censor, some because the play didn’t need the extra words. But with the variants we can see the process of creation and distillation. Senelick did his own annotations and translations, and gives reasons for his word or phrasing choices. The plays I have seen performed do not use his words, but I think the sense comes through in any case. A play must have a little flexibility, though I think Senelick is right when he says that in some cases exact words must be used as written, since sometimes a word or a phrase is repeated like a chorus, meant to develop the meaning of a play over time for the audience. What a rich experience it must be for students at Tuft’s Fletcher School to have someone direct their plays who knows so much about how a play has come to be, how it has been performed, and how it has been modified. It can't be often that a director has such a deep background in scholarship. Anyway, included in this volume are short monologues, including one that is my very favorite, entitled “The Evils of Tobacco.” Senelick gives two versions of the monologue, each placed roughly chronologically when they were published. 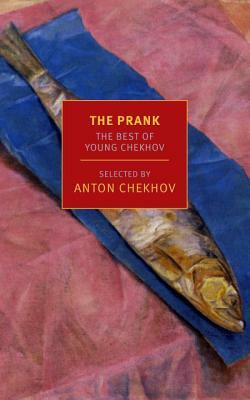 One is very early in Chekov’s “stage” career, and another version, continually revised over the years, is placed at the end, right before “The Cherry Orchard.” Successful professional comedians perform endless versions of the same monologue until they have it pared to its funniest and most striking essentials, and it seems Chekhov did the same here. The piece is a miracle of parody: a distinguished educator is asked to give a lecture on a popular topic for a charity benefit. Shortly after his introduction, the lecturer merely mentions the word tobacco and is sent off onto a tangent of several minutes. He brings himself back with an exceedingly brief, boring, and overly scientific couple sentences about tobacco and veers off topic again, ranging into the territory of his health, his preferred food choices, and how his marriage is going. It is short, and it is masterful--the result of a long career thinking about, writing, and staging humorous pieces. Do not miss this. The biography of Chekhov at the beginning of this volume is notable for its depth of knowledge and understanding of Chekhov’s oeuvre. It is short and assured, and gives information that is indispensable for a greater understanding of how, what, and why Chekhov wrote. This collection of all-new stories by the young Anton Chekhov published this summer by New York Review of Books @nyrb reveals an artist desperate to make a living. He was twenty-two years old and collected these stories hoping to launch his career, but they were never published. 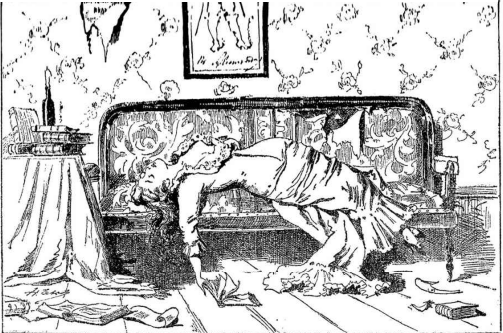 Illustrated by Nikolay Chekhov, Anton’s older brother, it was censored before it could come out. When you read the stories you may be surprised, as I was, at what the censors deemed subversive. 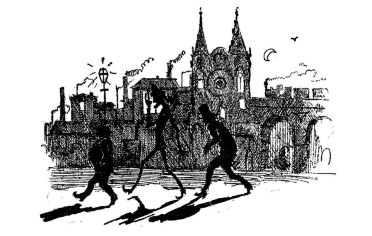 The stories are broad comedy, slapstick satires, and absurd parodies of Jules Verne and Victor Hugo. The story “St Peter’s Day” reminds me of Jerome Jerome’s Three Men in a Boat, it is so filled with manly boasting and ridiculously goofy repartee. But there is a razor streak of criticism in there and Chekhov gives no quarter. An old peasant accompanying a hunting party drifts off while the other men, middle class and aspiring, buffoonishly discuss where to avoid other rotters who were meanwhile taking the best spots. I kept expecting the old peasant to show up with a hunting bag full while the others expounded, but he never did. The others just left him there. Translator Maria Bloshsteyn in the Introduction puts these early stories into a perspective that includes Chekhov’s later works. The old peasant left by the hunting party, Bloshsteyn tells us, appears again in Chekhov’s last play The Cherry Orchard. And the social critique of marriage, Russian life, and social strictures that appears in “Artists’ Wives” and “The Temperaments” foreshadows all of Chekhov’s work. 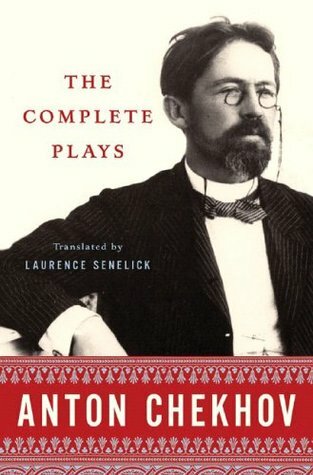 A quick look through The Complete Plays by Chekhov, translated and annotated by Laurence Senelick (2006), shows only the late plays of Chekhov not to be “comedic anarchy.” When Chekhov dropped the broad humor for his late plays, his work still had bite but was even more damaging than his humor. “Uncle Vanya,” for instance, exhibits many of the broad categories of personality shown in his early stories but seems almost despairing. Chekhov trained as a doctor in the 1880s. During his residency he began publishing short humorous pieces in magazines as he was the economic mainstay of his extended family. Knowing of his extensive education adds to our enjoyment of his snide observations, and may explain the quote in which he expresses "the human body" and "health" first among his holy of holies. We do not include gases here because science is not yet able to determine accurately the quantities of gases that we take in." That’s all. We learn about the “Choleric Temperament” ("the choleric man is bilious with a yellow-gray face…" and “the choleric female is a devil in a skirt…”), the “Phlegmatic Temperament” ("the phlegmatic male is a likable man…He is always serious because he is too lazy to laugh. "), and the “Melancholic Temperament,” none of which reassure us that human life is worth the resources needed to sustain it. Deon Meyer is South Africa’s preeminent mystery/thriller writer and something of a wonder. His books have a richness and specificity that bring South Africa (and crimes committed there) vividly to life. This installment of the Benny Greissel series braids several strands of mystery into a single blood-red cord of baling twine from the wine country of Stellenbosch. Meyer often posts on his website photos of the locales, restaurants, buildings he uses in his novels, and he did in the case of Icarus as well. The site of the action is South Africa’s western Cape near Cape Town. A large storm in December reveals the body of an internet entrepreneur buried in the sand of Blouberg Strand. Ernst Richter ran Alibi.com, a South African-based website based on the success of AshleyMadison.com, a company promising discretion when arranging infidelities. The manner of his death ties him firmly to the wine country in Stellenbosch, but in the weeks leading to the Christmas holidays, we are turned in many directions, often away from the truth. Meyer often has several threads working at once in his novels, and this book is no exception. Deliciously, Meyer shares the personalities of the police and how their prejudices, weaknesses, and particular skills influence an investigation. Benny Griessel struggles with alcohol addiction and falls off the wagon when a colleague dies tragically. The description of his ever-present desire and of his failure is agonizingly real. Griessel’s colleague, Jamie Keyter, will do just about anything to be in the limelight of newspaper reporting, even if it means selling his team down the river. Another colleague, Vaughn Cupido, falls hard for someone he questions during the murder investigation. While the murder investigation plays itself out, we are treated to a plausible explanation of the unreasonably high subscription numbers of Alibi.com (and by association the AshleyMadison.com), and a realistic scenario for the sites’ growth and financial requirements. Finally, we also get a fascinating short history of wine production in South Africa. Meyer keeps readers off-balance throughout the novel with rapid and abrupt shifts between strands: the quiet droning of a man relating his family’s genealogy; the drunken stumbling of Benny Griessel on the edge of losing everything; the start-stop of an investigation where so many have things they wish to hide. 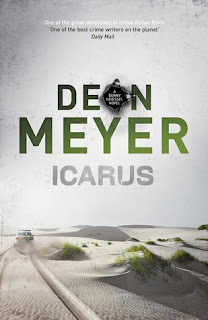 If you haven’t already enjoyed Deon Meyer’s oeuvre, feel free to start here. It is often years between novels, and to discover a new Meyer book is an event. Add Meyer to your list and get a whole different outlook. This book will be published October 6, 2015 by Grove Atlantic, but I am telling you about it now because it is being offered as a giveaway currently on Goodreads. I definitely recommend you sign up. This marvelous collection of the extant fragments of verse attributed to Sappho is a glorious spur to the imagination. 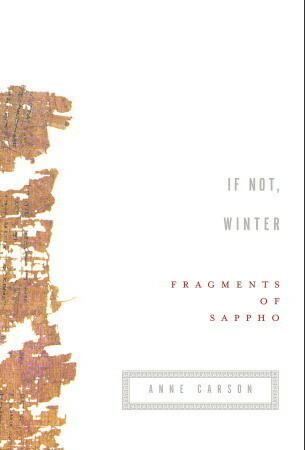 Sappho was a lyricist, a poet, a musician. It is unknown whether or not she was literate in reading and writing, but her work was collected in writing, and reprinted, but little has survived the centuries. Only one full poem, the ode to Aphrodite, survives whole at twenty-eight lines. 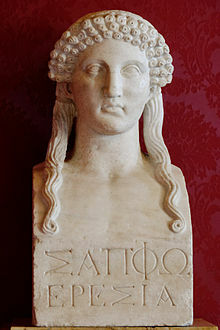 Sappho was known and lauded throughout the ancient world for the beauty of her poems accompanied by the lyre. She wrote nuptial songs mainly, it seems, for the tenor of the fragments suggest the happy circumstance of a marriage. The Encyclopedia Britannica suggests that Sappho taught young women the arts of courtesanship, seduction, marriage which may (I speculate here) be one reason why she was so universally adored and admired. 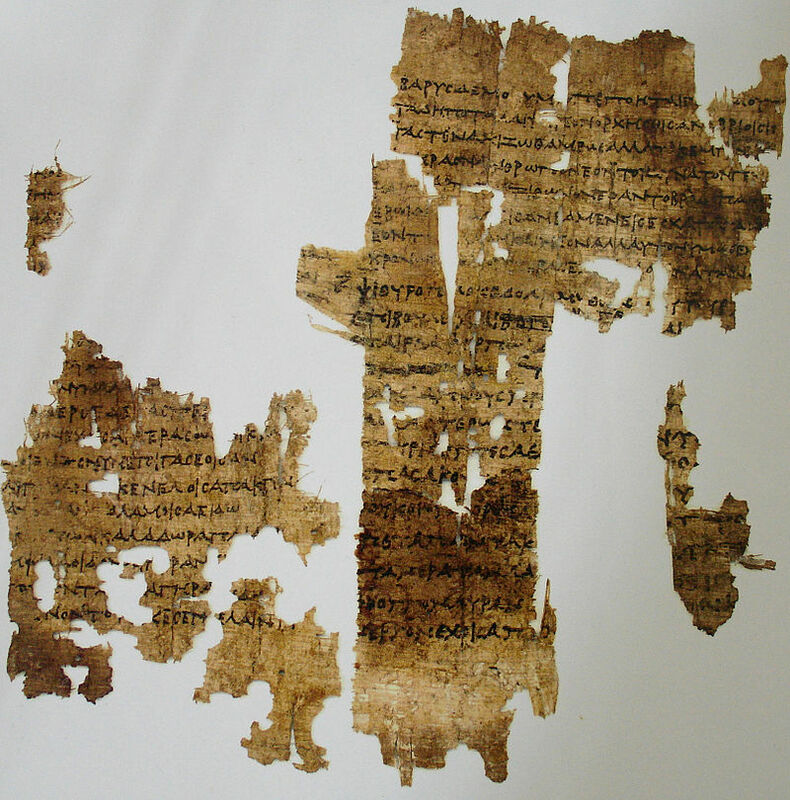 If many of the song or poem fragments are songs composed for weddings, just that concept brings a host of associations and an understanding of Sappho’s history. There is more to learn about her as an individual (she had three brothers, was married with a child, was exiled to Sicily in her twenties it is thought) but not much more. It is thought she lived from 610 B.C. to 570 B.C. A collection of her work was published during the Middle Ages in nine volumes but has not survived. Our imagination will have to suffice. Apologies to Anne Carson and publisher AA Knopf for not being able to reproduce the high quality typesetting and lovely spacing in this book. If this review is at all intriguing to you, try to lay your hands on a printed copy from 2002. The formatting is as informative as the print. 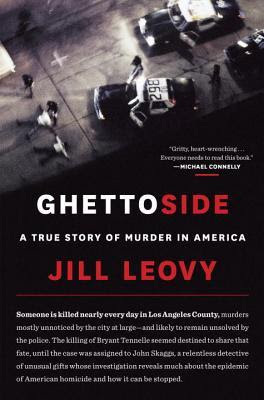 Many years in the making, this recounting of the deaths of young black men in the neighborhood of South Los Angeles has the intellectual and emotional impact of a rubber mallet struck hard against the head. It is sickening, anger-inducing, and confounding, like listening to the litany of femicides in Book Four of Roberto Bolaño’s masterpiece, 2666 . Only the facts elicit this reaction, for Leovy’s writing is dispassionate, cool and clear, which is the only way we could get through this horrifying accounting. Leovy focuses on one case in particular: the death of the son of a police detective. She follows the case through the investigation, interrogation of witnesses and suspects, trial and sentencing. The whole story is riveting reading. There are so many ways cases in our legal system fail to result in a conviction. That this one case did not fail is testament to the work of a group of dedicated officers who sought justice and actually found it. I first heard about this book on the NYTimes podcast, which can be downloaded for free on iTunes. This work should be nominated for nonfiction awards this year. It is a splendid job of witnessing.